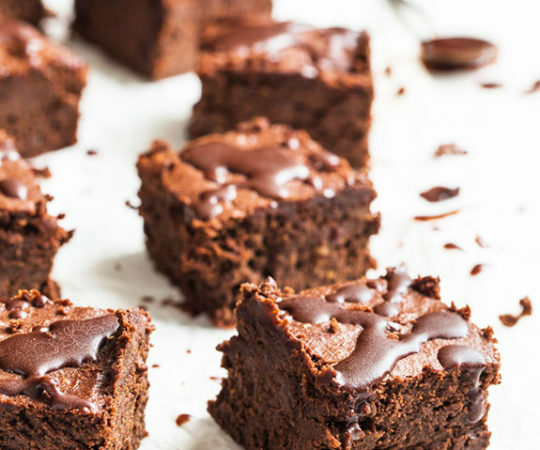 You’re guaranteed to fall in love with my no-bake chocolate brownies. They come topped with chocolate frosting so you’re definitely going to get your chocolate fix. In downtown Chicago there is a chocolate factory. On certain days, when the wind is blowing westward, the whole city smells like fresh baked, homemade brownies. Life could be worse. But when you’re walking home on a cool fall afternoon and all you can smell is brownies, all you want to eat is brownies. A big heaping pile of them. I used to do just that. Swing by the grocery store, get a box, whip them up and bake them and chow down. I also used to be fat. 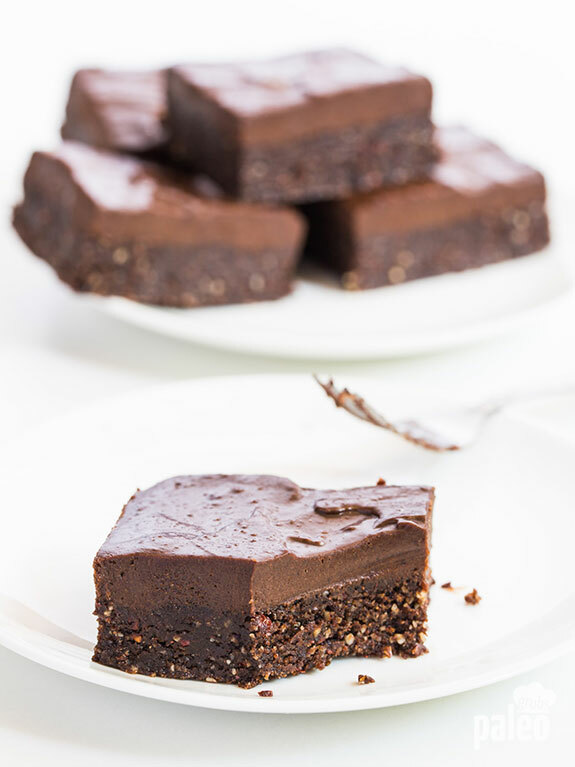 When one of my Paleo friends introduced me to this no-bake brownie recipe, I have to admit I was skeptical. 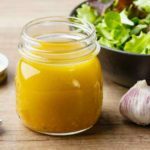 I was well into my Paleo days and had eaten some great substitutes for things I craved that weren’t Paleo. 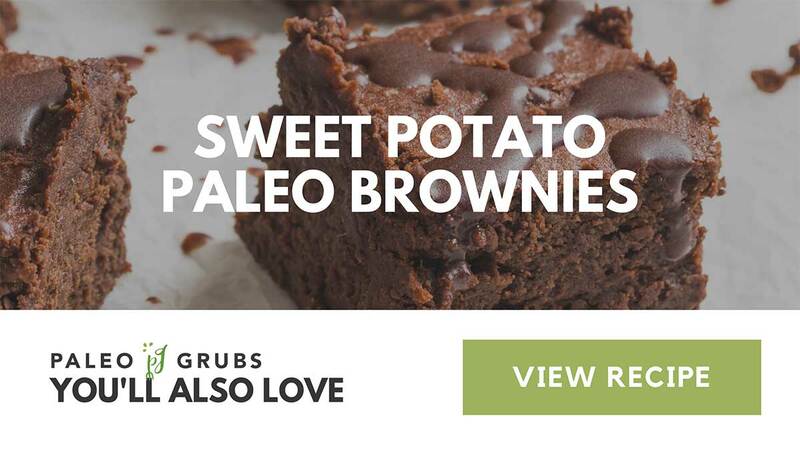 But brownies? It certainly seemed too good to be true. How could a mixture of nuts and dates with a few other things thrown in really stand up to a real live brownie? But it worked. I was stunned. And won over. 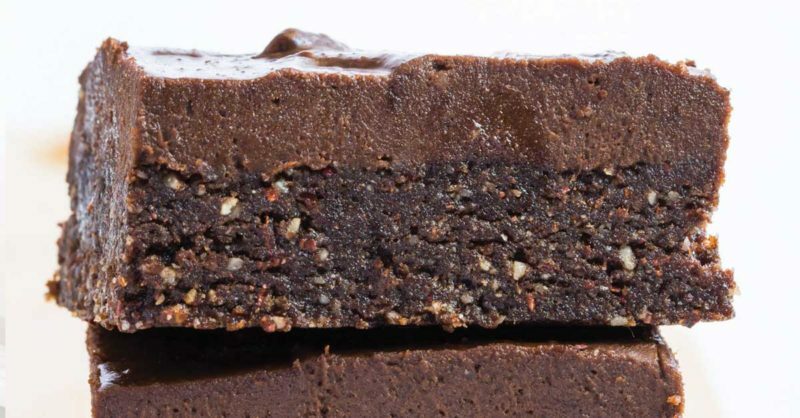 Here’s why I think it works: the experience of eating a brownie is really about two things – flavor and texture. 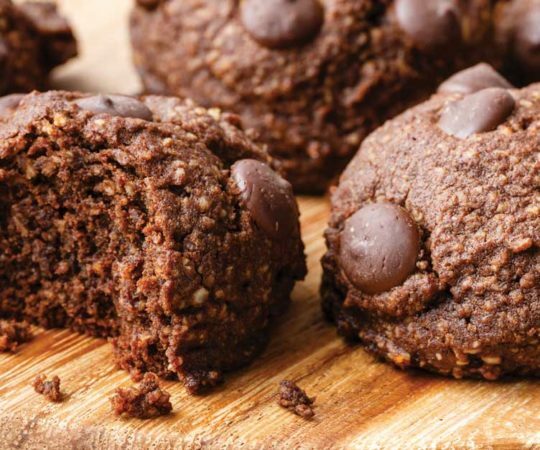 For flavor cacao nibs and powder do the trick. You see, cacao nibs are chocolate before it is chocolate. Ok, that’s a little confusing. To make chocolate, you take cacao beans and roast and hull them. Then you grind them up into a paste and add sugar, cream, and a few other things, and you get the stuff chocolate bars are made up. Cacao nibs are the beans, after they’ve been roasted and hulled, but before they are ground up into a paste. So now you know what I mean about them being chocolate before they are chocolate. Turns out cacao beans are really good for you, too. They’re full of fiber and antioxidants and vitamins and minerals. And by themselves they have a very dark, more bitter chocolate flavor to them. 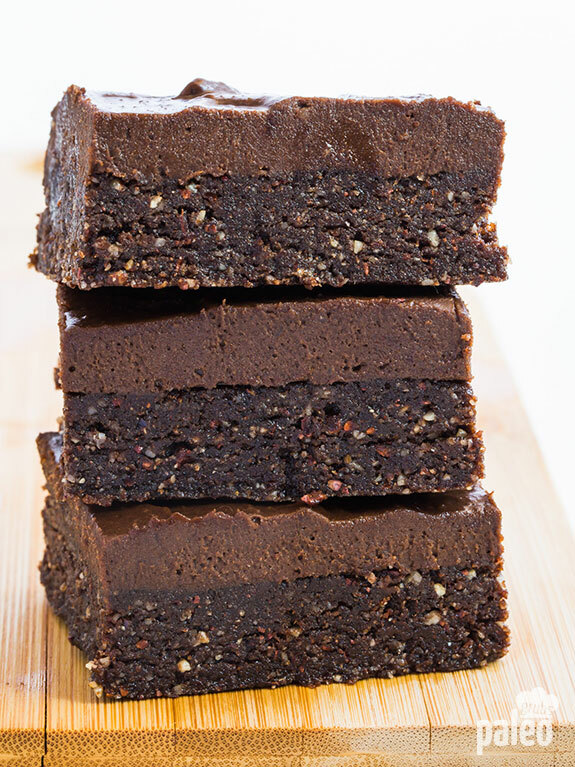 But in our Paleo brownie recipe, the other ingredients give them the sweetness that brings out their chocolatey flavor. 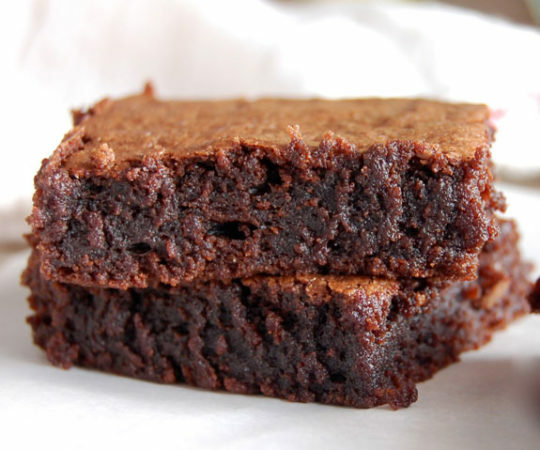 And as for the texture…if you’re like me, you like your brownies ooey and gooey. 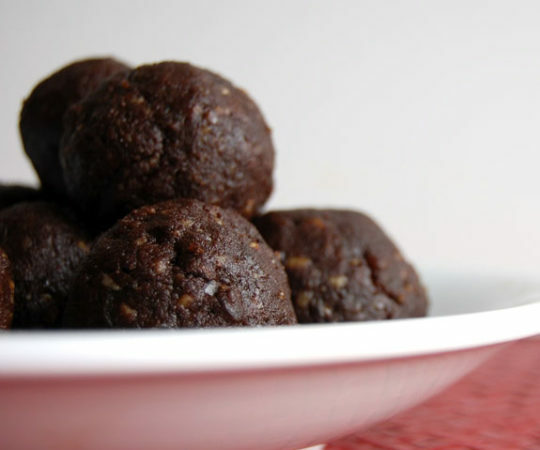 The nuts provide a bit of heft and stability to the brownie and the dates and the coconut oil get the mixture to just the right level of gooeyness. 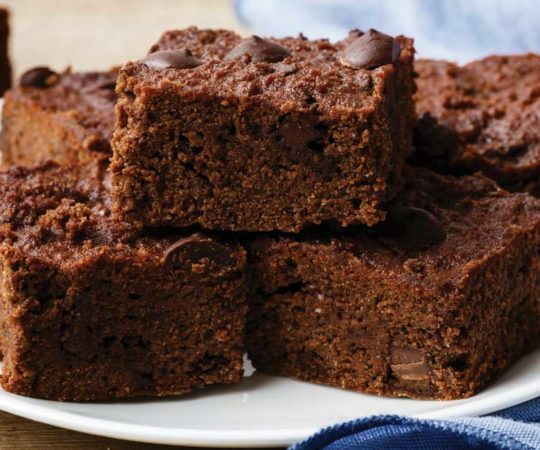 And, as an extra added bonus, unlike regular brownies, these ones get fiber, vitamins and minerals from nearly every ingredient. So next time I start smelling brownies on the air, I know what to do…grab some dates, nuts, and cacao nibs and get going! 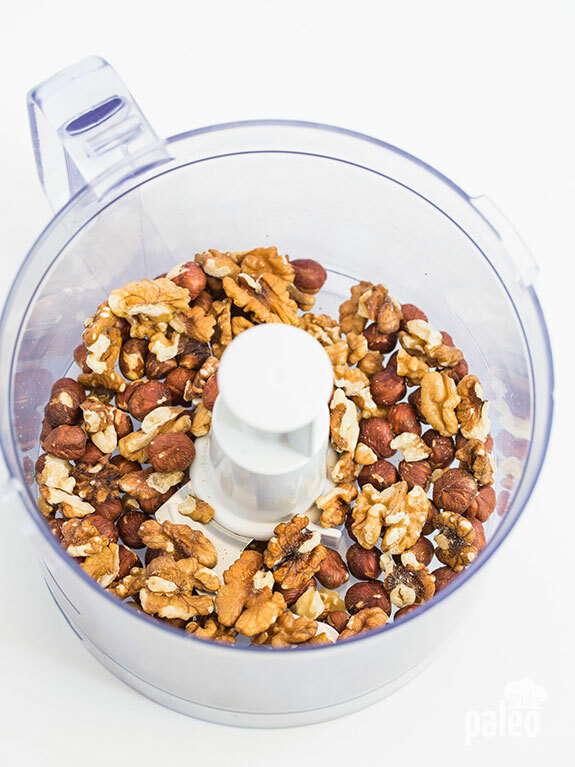 Place the walnuts and hazelnuts in a food processor and pulse until nuts are finely chopped. Add the dates, cocoa nibs, cacao powder and coconut oil and pulse until a dough consistency is achieved. Line an 8×4 inch baking dish or other small pan with parchment paper. Tip the mixture into the lined dish and spread out in an even layer. Cover with plastic wrap, and refrigerate for 30 minutes. Meanwhile, make the frosting. 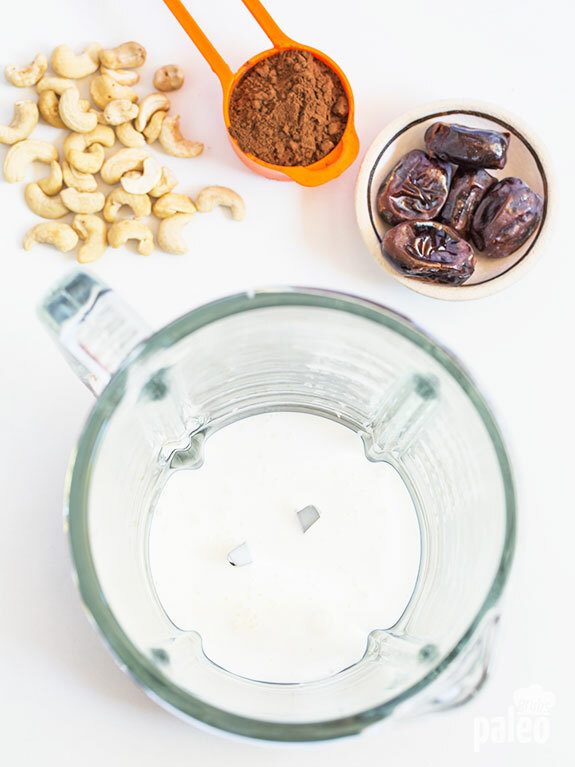 Place all ingredients in a high-speed blender starting with coconut milk and coconut oil and blend. Continue blending long enough to get a smooth, velvety consistency. Pour the frosting over the base and put it back in the fridge for minimum two hours or overnight. The brownies will keep stored in an airtight container in the fridge for up to 1 week or in the freezer for up to one month. I absolutely love recipes! 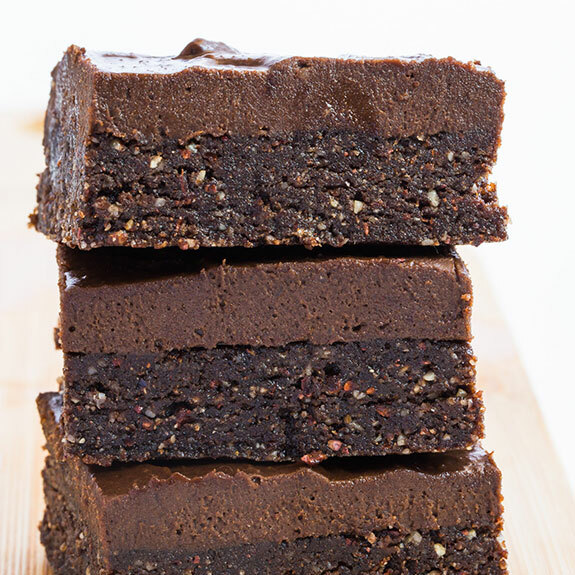 What kind of blender do you use to make the brownies and energy bars? I have a vita mix, but it seems to have trouble grinding without seeming like the motor is getting burned out.I will look forward to your reply! Just love receiving paleogrubs here in Western Australia. Keep up the good work!!!! Thanks for explaining the difference between cacao nibs and chocolate chips. Helps me understand why I might be paying more for them in the store (well its because I’m paying for actual chocolate instead of the filler sugar/cream :). My son has nut allergies, but this looks wonderful. Do you think we could substitute hemp seeds in place of the nuts? This recipe sounds amazing! I have a question about the raw cacao powder. 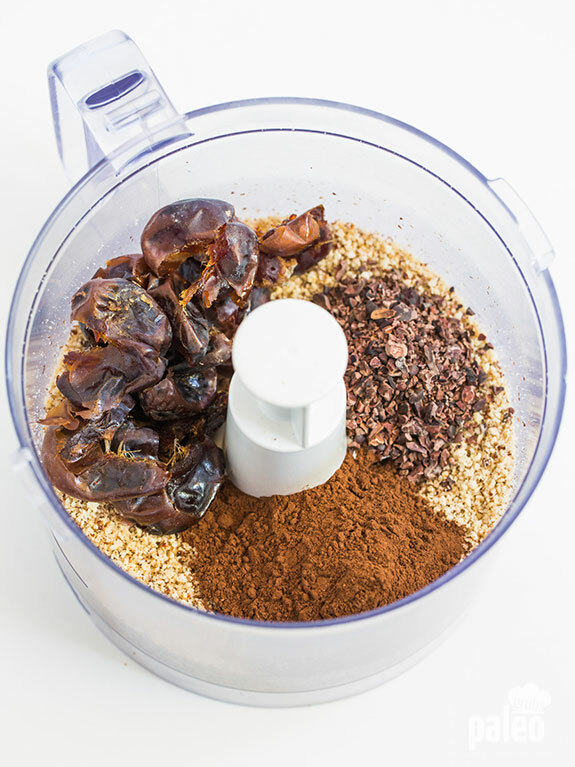 Do you just put the cacao nibs in a food processor and make the raw powder? 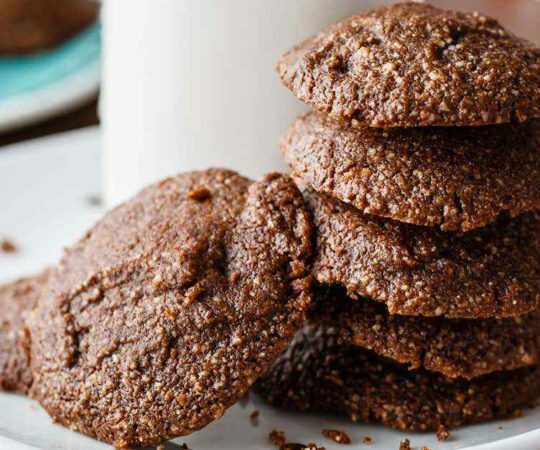 Can I just use unsweetened Cocoa powder? Thank you, can’t wait to try these when I’m done with my whole 30! Wondering if I could sub honey I stead of dates? But how much would I add if I did so? Does anybody know how much is 3/8 of a cup in tbs?